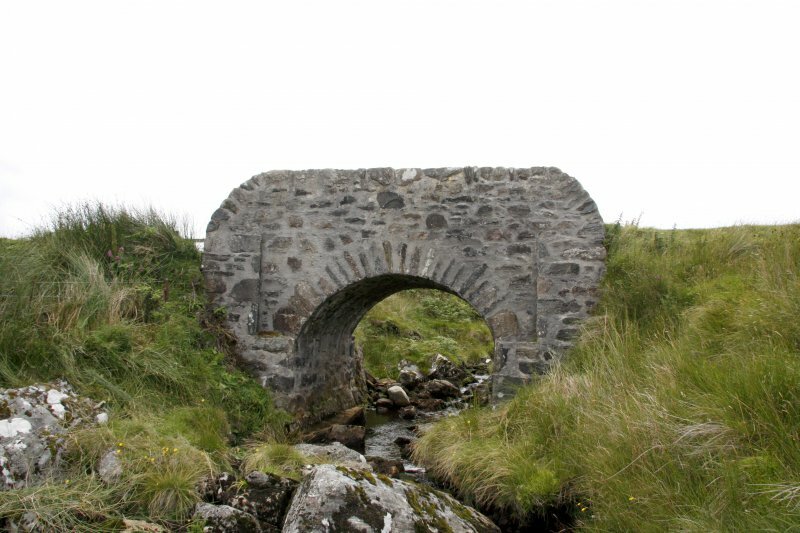 Allt na Guaille, bridge, view from NE. 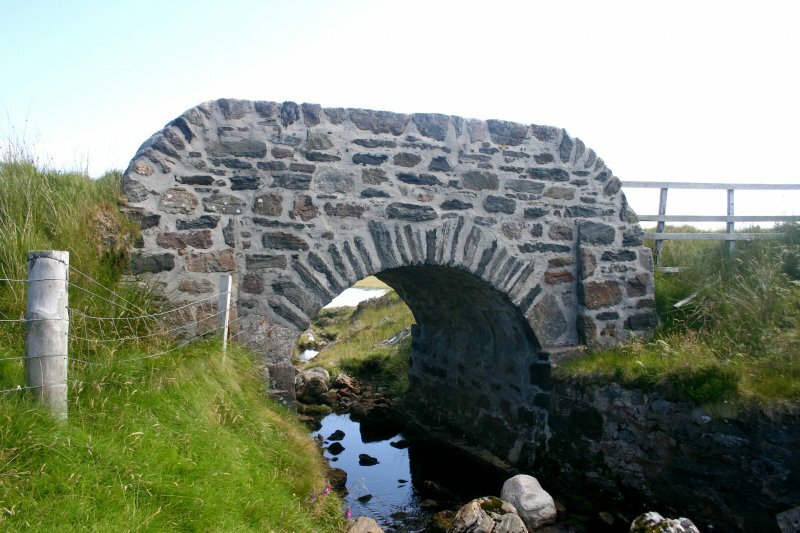 Allt na Guaille, bridge, view from NNW. 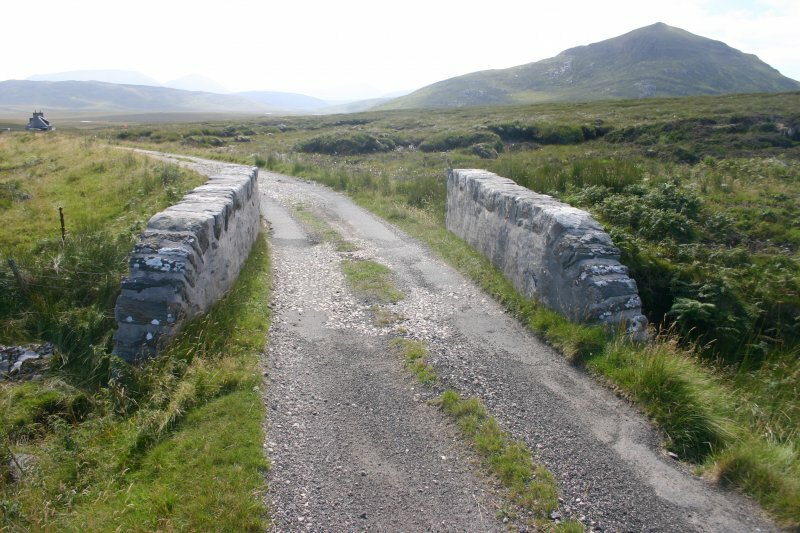 Allt na Guaille bridge, view from the N.
Allt na Guaille, bridge, view from NW. 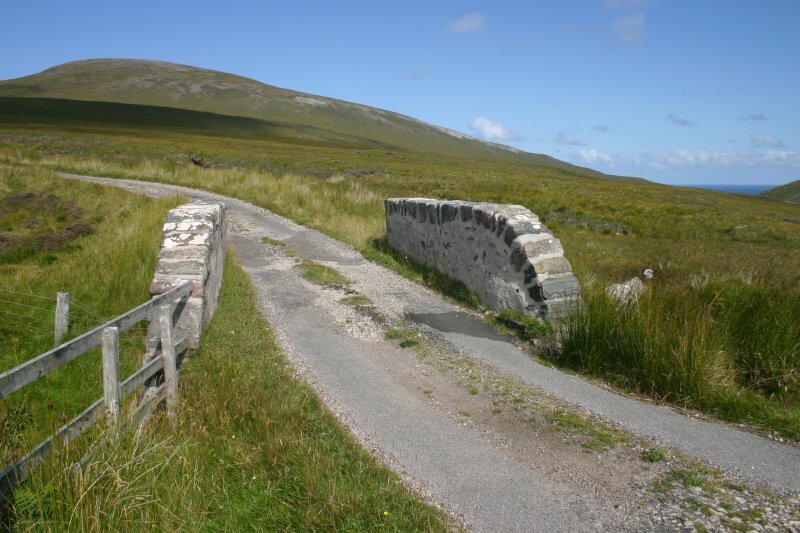 Allt na Guaille, bridge, view from SSE. 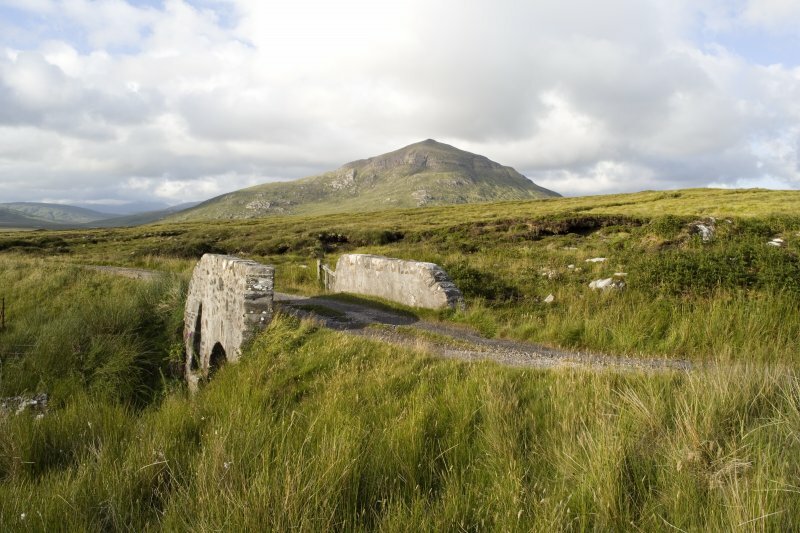 Allt na Guaille, bridge, view from W.
Allt na Guaille, bridge, view from ESE. 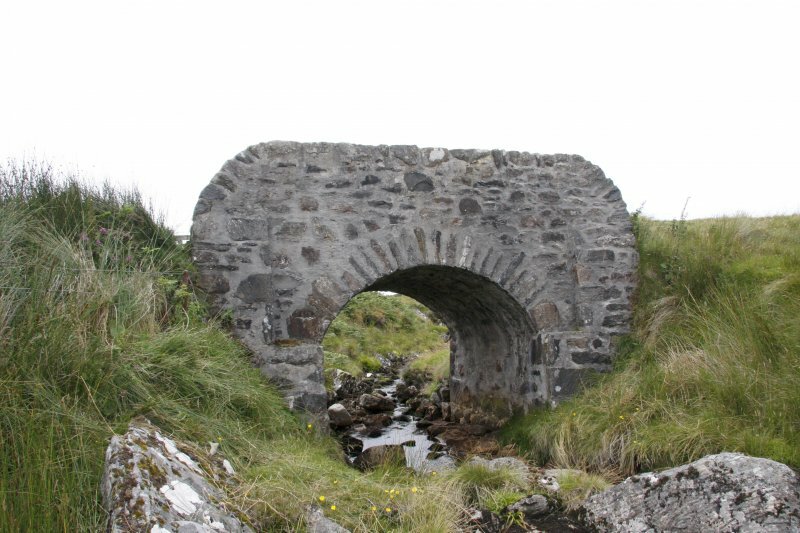 Allt na Guaille bridge, view from the NW. 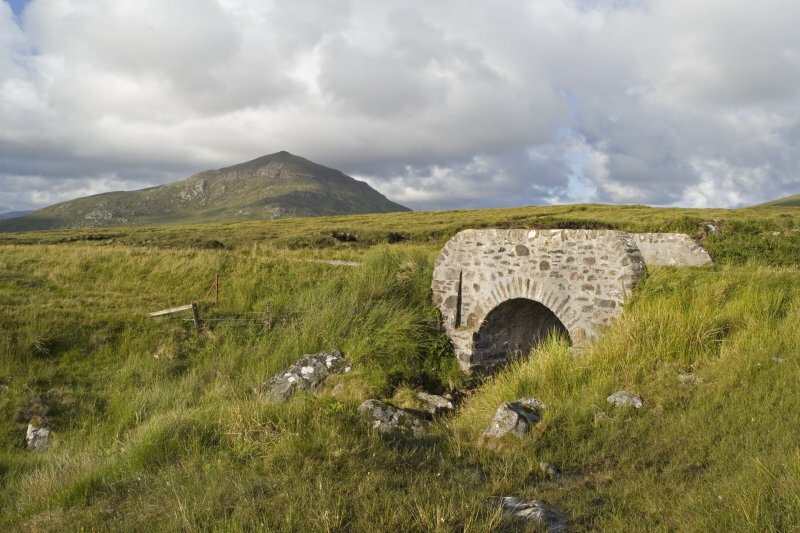 Allt na Guaille bridge, view from the E.
Allt na Guaille bridge, view from the W.
Allt na Guaille bridge, view from SE. 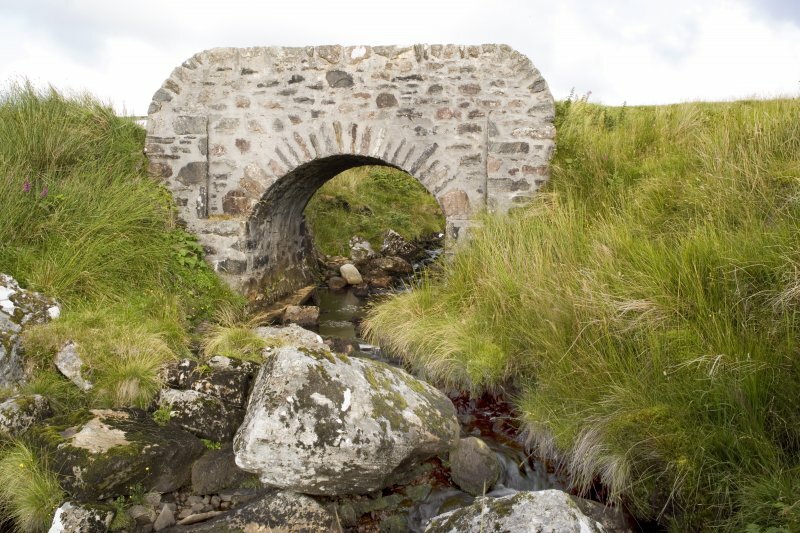 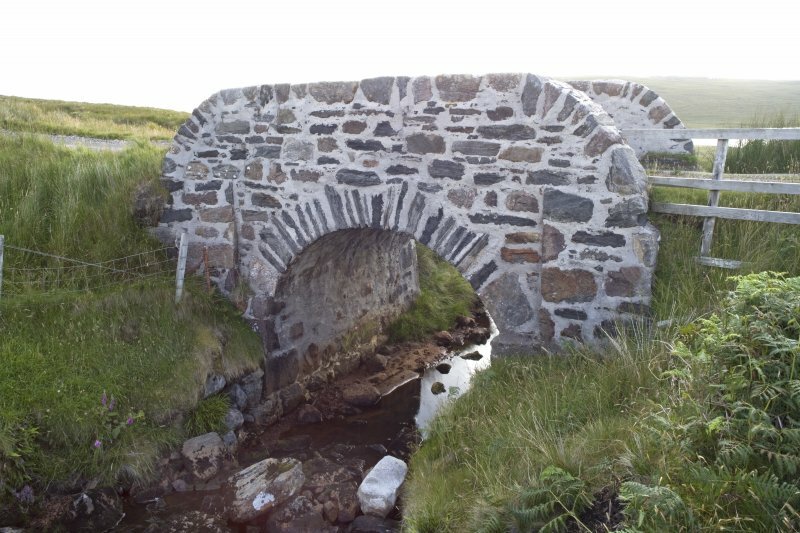 This stone bridge, which is situated 190m NW of the former shepherd’s house at Inshore (NC36NW 2), carries the public road from the ferry point on the Kyle of Durness (NC 3707 6602) to the lighthouse (NC27SE 3.00) at Cape Wrath over the Allt na Guaille. 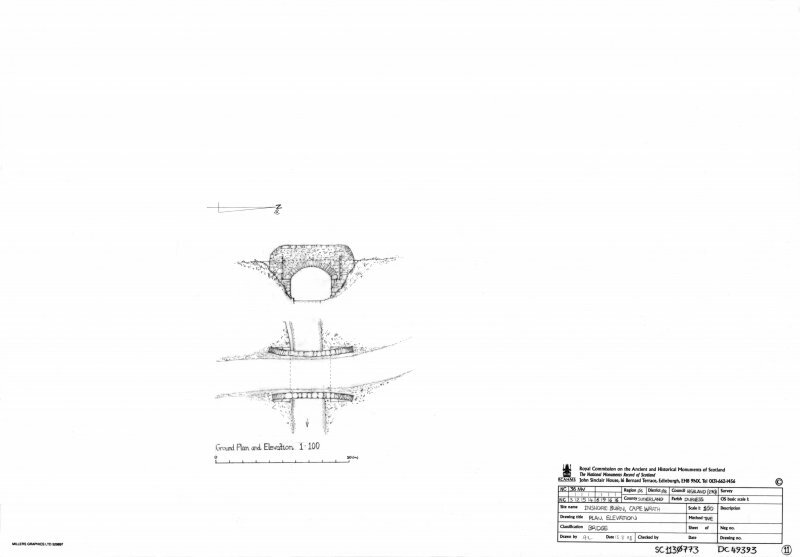 It comprises a single arch, measuring 3.1m in width by up to 2.5m in height, and at road-level the bridge is 2.75m wide between parapets that measure up to 1.1m in height and are rounded and slightly splayed at both ends. 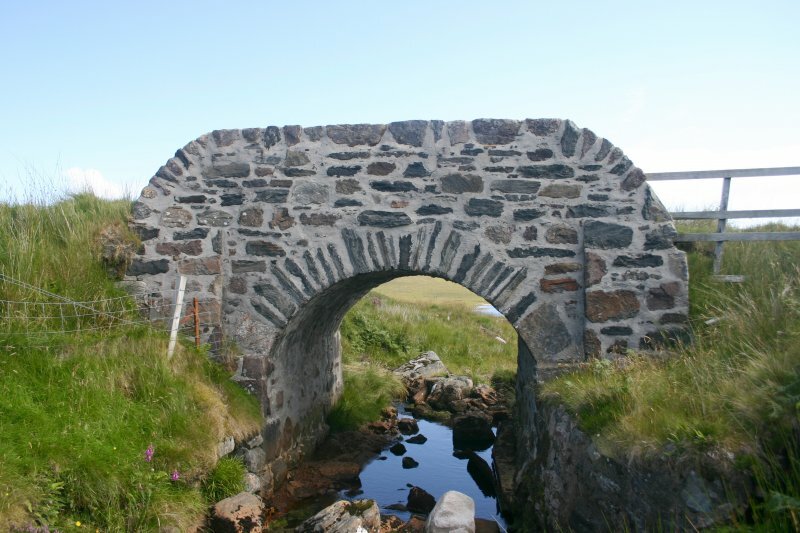 The bridge is contemporary with the road, which was constructed in 1828 to service the lighthouse (Stevenson 1828). 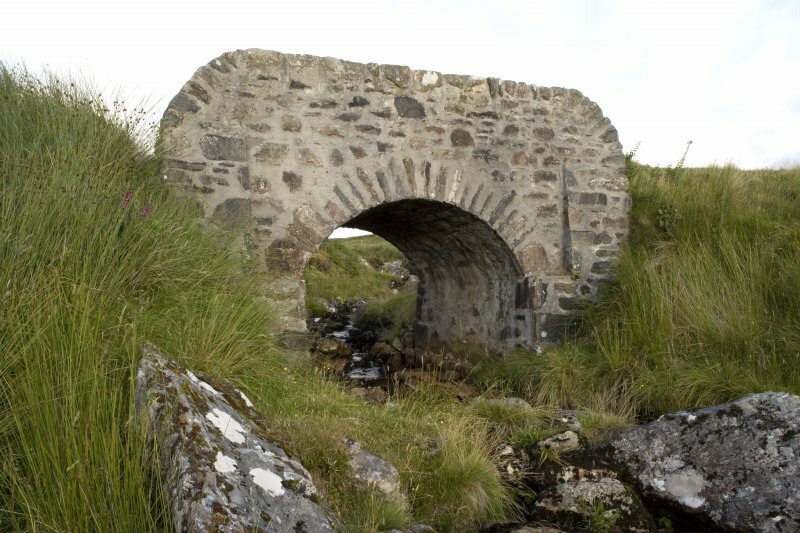 Visited by RCAHMS (JRS, JH) 4 August 2008.